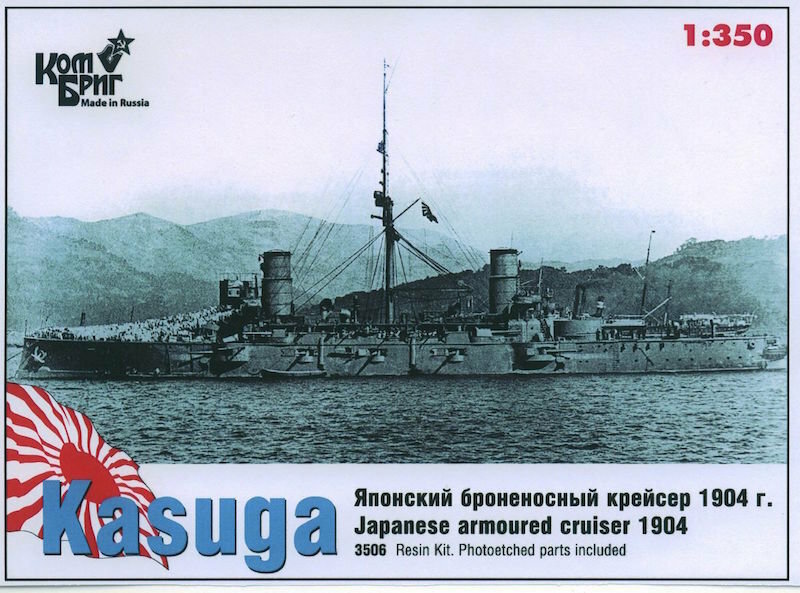 Kasuga (春日) was the lead ship of the Kasuga-class armored cruisers of the Imperial Japanese Navy, designed and built by Ansaldo Yards, Genoa, Italy, where the type was known as the Giuseppe Garibaldi-class cruiser. It was named after a holy mountain in Nara prefecture. Designed as a cross between a battleship and a cruiser, but with a very small displacement, the Kasuga-class ships had the ability to stand in the line of battle and the speed to avoid action with battleships. Its armor was only 6 inches (150 mm) thick but covered a far greater percentage of the hull than previous armored cruiser designs. Kasuga had a sister ship, the Nisshin.